Adrian Delia, Kap tal-Opposizzjoni, huwa u jistkenn bejn attakk u ieħor li huwa soġġett għalihom bħalissa, diversi drabi ġie rappurtat jgħid li ħadd mhu ikbar mill-partit. Naħseb li jemminha din id-dikjarazzjoni għax jidher li jgħidha b’ċerta konvinzjoni. Fir-realtá l-affarijiet huma ħafna differenti minn hekk. Għax ilu li spiċċa ż-żmien li l-mexxej jordna u l-bqija jimxu warajh b’għajnejhom magħluqa. Partit politiku hu kbir jew żgħir skond kemm jirrispetta lil dawk fi ħdanu. Għax jekk ma jirrispettax lilhom, kif qatt jista’ jirrispetta lil dawk barra minnu? Il-Partit Nazzjonalista jidher li għadu ma tgħallem xejn mill-esperjenzi tal-konfront li kellu ma’ Franco Debono li l-enerġija tiegħu, flok ma ġiet utilizzata favur inizjattivi kostruttivi spiċċat intużat biex toħloq ħerba. Kien hemm mumenti fis-saga Franco Debono li l-PN seta’ jevita din il-ħerba, jew tal-inqas inaqqas il-konsegwenzi negattivi, imma minflok, il-Kap tal-PN ta’ dakinnhar Lawrence Gonzi għamel żbalji wieħed wara l-ieħor: ipprova jpoġġi lil Franco Debono f’rokna u minflok spiċċa fir-rokna huwa. Il-Parlament, dakinnhar, fl-2012, kellu quddiemu żewġ mozzjonijiet. Waħda kienet imressqa mill-membri parlamentari Josè Herrera u Michael Falzon għall-Opposizzjoni Laburista, liema mozzjoni kienet kritika tal-politika tal-Gvern immexxi mill-Partit Nazzjonalista fil-qasam tal-ġustizzja u l-intern u kienet tikkonkludi b’dikjarazzjoni ta’ sfiduċja f’Carm Mifsud Bonnici, dakinnhar Ministru. Il-mozzjoni l-oħra kienet imressqa minn Franco Debono u filwaqt li kienet ukoll kritika tal-politika tal-Gvern fil-qasam tal-ġustizzja u l-intern ma kienet titlob l-ebda sfiduċja iżda kienet titlob diskussjoni fuq numru ta’ inizjattivi f’dawn l-oqsma. Is-sens komun iwasslek biex tikkonkludi li jekk kellek tagħżel bejn iż-żewġ mozzjonijiet kont tagħżel dik ta’ Franco Debono bl-intenzjoni li tnaqqas kemm tista’ l-konsegwenzi kif ukoll bit-tama li tiffoka fuq titjib fil-qasam taħt diskussjoni u forsi tikkontribwixxi biex tikkalma xi ftit is-sitwazzjoni. Nafu li Lawrence Gonzi poġġa fuq l-aġenda tal-Parlament il-mozzjoni ta’ sfiduċja mressqa mill-Opposizzjoni u dan, b’mod ċar, biex jisfida lil Debono. Iffaċċjat b’dan l-atteġġjament ta’ Lawrence Gonzi, Franco Debono ma kellux għażla, irvella u daħal għall-isfida bir-ras nhar it-30 ta’ Mejju 2012 meta ivvota favur il-mozzjoni mressqa mill-Opposizzjoni. Dan l-iżball tattiku ta’ Lawrence Gonzi wassal għal konsegwenzi gravi fuq il-Partit Nazzjonalista fil-Gvern. Nafu kif is-seduti Parlamentari bejn Mejju 2012 u l-aħħar ta’ dik is-sena kienu battalja kontinwa li spiċċaw bin-nuqqas ta’ approvazzjoni tal-budget. Jidher li l-PN ma tgħallem xejn minn dak l-iżball: forsi għalhekk Lawrence Gonzi jrid jagħmilha tal-medjatur biex jiggwida ftit lil Adrian Delia ‘l bogħod mill-periklu li jidher li daħal għalih meta stieden lil Simon Busuttil biex jissospendi ruħu mill-Grupp Parlamentari! Lawrence Gonzi kellu Franco Debono wieħed. Wara żdiedlu Jeffrey Pullicino Orlando u mbagħad ingħaqad magħom ukoll Jesmond Mugliette. Kien hemm bosta oħrajn fil-grupp parlamentari li dakinnhar kienu kritiċi tat-tmexxija ta’ Lawrence Gonzi imma qatt, safejn naf jien, ma ippreżentaw front wieħed biex jikkontestaw l-arroganza fit-tmexxija tal-Partit. In parti dan kien minħabba li ma kellhomx uniformitá ta’ ħsieb u/jew viżjoni. Jidher li l-affarijiet qed jinbidlu. Il-front komuni li qed jippreżenta parti mill-grupp parlamentari nazzjonalista, illum b’solidarjetá ma’ Simon Busuttil jista’ jwassal lill-PN biex jiġi f’sensieh u tal-inqas jibda jirrispetta lil dawk fi ħdanu. Bla dubju hemm x’tgħid favur kif ukoll kontra dak li qed jinsisti dwaru Adrian Delia. Pero żgur li m’humiex deċiżjonijiet li l-ewwel tħabbarhom f’konferenza tal-aħbarijiet (ftit wara li jkun jħabbarhom Joseph Muscat) u mbagħad, iffaċċjat b’reazzjoni kuntrarja iddur fuq ta’ madwarek għall-appoġġ. Id-deċiżjonijiet li qiegħed jiffaċċja l-Partit Nazzjonalista jirrikjedu diskussjoni serja li minna ħadd ma għandu jkun eskluż. Forsi l-medjatur jgħallimhom, mill-esperjenza tal-iżbalji tiegħu. Adrian Delia, Leader of the Opposition, has many a time been reported as stating that “no one is greater than the Party”. It seems a basic article of his political faith. Unfortunately for him, nowadays reality is quite different. Gone are the days when the leader issues orders and everyone follows blindly because the party has spoken. The greatness of a political party is not measured in such terms but more in terms of to what extent it is capable of respecting its own. If it is not capable of doing this, how on earth can it ever respect diverging and contrasting opinions out there? Six years down the line, the PN, apparently, has not yet drawn any lessons from the Franco Debono debacle, whose energy and enthusiasm – instead of being used positively – ended up causing extreme havoc. There were specific instances when the PN could have avoided most of the damage caused, if the then PN party leader, Lawrence Gonzi, had not embarked on a series of tactical errors: he tried to corner Franco Debono into submission but instead triggered an over-reaction which he was not capable of handling. Two specific motions were pending on Parliament’s agenda in 2012. One of these motions, submitted on behalf of the Opposition by its MPs Josè Herrera and Michael Falzon, was critical of government policy in the areas of justice and home affairs and ended by requesting a vote of no confidence in then Minister Carm Mifsud Bonnici. Another motion, presented by Franco Debono himself, while being equally critical of the same policy areas, was limited to requesting a detailed discussion of deficiencies in these policy areas. Common sense would have led anyone in a position to choose which of the motions was to be discussed to opt for the Franco Debono motion, as it was clearly the one that could cause the least collateral damage. It was also possible that the Franco Debono motion could develop into a serious discussion and consequently the situation could calm down. Lawrence Gonzi then proceeded to place on the Parliamentary agenda the no confidence motion presented by the Opposition, consequently calling Franco Debono’s perceived bluff. Faced with Gonzi’s challenge Franco Debono bit the bullet and, on the 30 May 2012, voted in favour of the no confidence motion moved by the Opposition. It was a tactical error by Lawrence Gonzi and led to very serious consequences for the PN in government. We remember that parliamentary sittings between May and December 2012 were a continuous battle that led to the government being defeated when it presented its budgetary estimates. Apparently, the PN has not learned anything from these blunders: maybe this is why Lawrence Gonzi is offering his “mediation skills” to guide Adrian Delia away from the dangers that he has created for the PN with his invitation to Simon Busuttil to auto-suspend himself from the PN Parlamentary Group! Lawrence Gonzi had one Franco Debono, who was subsequently joined by Jeffrey Pullicino Orlando and Jesmond Mugliette and there were various other members of the then PN parliamentary group who were very critical of Lawrence Gonzi’s leadership. However, as far as I am aware, they never presented a coordinated front to stand up to the leadership’s arrogance. This, most probably, was the direct consequence of the fact that there was a lack of a uniform vision among those dissenting. Well, times are changing. The common front of the PN parliamentary dissidents supporting Simon Busuttil may bring the PN to its senses in order that it may start respecting its own. There is, without any doubt, much to say – both in favour and against Adrian Delia’s invitation to Simon Busuttil. These matters are, however, not normally announced in a PN press conference (after being prompted by Joseph Muscat) and then, faced with opposition, being rubber-stamped by a party structure. The decisions faced by the PN require a serious internal debate from which no-one should be excluded. The mediator may, as a result of his experience, guide the PN to avoid the pitfalls ahead. Otherwise, interesting times lie beyond the horizon. Malta, bir-raġun kollu, akkużat lill-Italja li kisret id-dritt internazzjonali meta iddikjarat li l-port ta’ Lampedusa kien magħluq għall-vapuri tal-għaqdiet mhux governattivi li kienu fuq missjoni ta’ salvataġġ fiċ-ċentru tal-Mediterran. Wara li faqqgħet l-istorja ta’ MV Lifeline, Malta, imbagħad, għamlet l-istess billi għalqet il-portijiet kollha għal dawn l-għaqdiet. Matteo Salvini, il-bully ta’ ħdejna, pubblikament sforza lill-Gvern Malti biex jaddotta l-valuri tiegħu: valuri li jinjoraw id-dinjitá tal-bniedem. Ġejna ibbumardjati mill-aħbarijiet li l-Kunsill Ewropew kien jaqbel mal-posizzjoni ta’ Malta dwar l-immigrazzjoni. Imma l-qbil tal-Kunsill kien li l-prattika tas-solidarjetá fil-qasam tal-immigrazzjoni kellha tkun fuq bażi volontarja. Ma hemm xejn ġdid f’dan. Ilna nafu b’din il-posizzjoni żmien: sa minn meta Lawrence Gonzi kien għadu jokkupa l-Berġa ta’ Kastilja! Il-Prim Ministru ta’ Malta Joseph Muscat issa huwa qrib fil-ħsieb mal-Prim Ministru Ungeriż Viktor Orban, il-Kanċellier Awstrijakk Sebastian Kurst u l-Prim Ministru pupazz tal-Italja Giuseppe Conte, li magħhom dal-waqt tingħaqad il-Kanċellier Ġermaniża Angela Merkel, li kellha ċċedi għat-talbiet ta’ Horst Seehofer, mis-CSU, Ministru tal-Intern fil-koalizzjoni tagħha. Ilkoll kemm huma “jittolleraw” is-solidarjetá, sakemm din tkun prattikata minn ħaddieħor. Nifhem il-ħtiega għat-tejatrin li ħass Muscat biex iċaqlaq lil diversi pajjiżi ħalli jipparteċipaw biex joffru it-tama lill-immigranti fuq MV Lifeline, avolja l-234 persuna umana abbord bagħtew tul l-istennija f’nofs il-Baħar Mediterran, sakemm disa’ stati ddeċidew li kellhom jerfgħu r-responsabbiltajiet tagħhom. Imma dan kollu kien segwit mill-azzjoni kriminali kontra l-kaptan tal-vapur MV Lifeline, il-ħaruf tas-sagrifiċċju fuq l-artal tal-populiżmu, kif prattikat minn Joseph Muscat. Għax donnu kien meħtieġ għal Joseph Muscat li jinnewtralizza l-azzjoni tajba li għamel meta aċċetta li l-MV Lifeline jorbot mal-moll tal-Isla. Dawk li jissugraw ħajjithom biex isalvaw dik ta’ oħrajn jispiċċaw jaqilgħu fuq rashom. L-ordni biex il-vapuri f’idejn l-għaqdiet mhux governattivi ma jbaħħrux fl-ibħra ta’ salvataġġ responsabbiltá ta’ Malta, anke jekk taparsi hi ordni temporanja, tagħti l-mano libera lill-gwardja tal-kosta Libjana biex “twettaq dmirha” u tassigura li dawk li jitilqu mil-Libja ikollhom għażla bejn żewġ destinazzjonijiet : iċ-ċentri ta’ detenzjoni Libjani inkella qiegħ il-baħar. Biex jassigura li l-mewt bl-għarqa tkun l-unika għażla realistika il-Gvern Malti issa ipprojibixxa ukoll li ajruplani għat-tiftix u is-salvataġġ operati mill-għaqdiet mhux governattivi Sea Watch u Swiss Humanitarian Pilots Initiative jitwaqqfu immedjatament. Dan wara li diġa wasslu biex ġew salvati madwar 20,000 persuna umana. Il-mistoqsija inevitabbli hi: dan kollu għaliex? Is-soċjoloġi Ungeriżi Vera Messing u Bence Ságvári fl-istudju tagħhom intitolat Looking behind the Culture of Fear. Cross-national analysis of attitudes towards migration. li kien ippubblikat bl-għajnuna tal-Fondazzjoni soċjaldemokratika Ġermaniza Friedrich Ebert Stiftung u l-European Social Survey, f’Marzu li għadda, jistħarreġ tweġiba għal din il-mistoqsija. Hi tabilħaqq sfortuna li l-familji politiċi ewlenin ġew kontaminati minn din il-kultura tal-biża’ u b’hekk irrendew ruħhom ostaġġi tal-bulijiet li hawn madwarna. Sfortunatament l-egħluq tal-portijiet tagħna għall-vapuri operati mill-għaqdiet mhux governattivi fuq missjoni ta’ salvataġġ (wara l-eċċezzjoni tal-MV Lifeline) tindika li Joseph Muscat, imniġġeż kif inhu minn Matteo Salvini, abbanduna kull tama u minflok għażel ir-rwol ta’ għassies taċ-ċimiterju. Malta rightly accused Italy of being in breach of international law when it closed the Lampedusa port to NGO vessels on rescue missions in the central Mediterranean. In the aftermath of the MV Lifeline debacle, Malta then proceeded to follow suit by closing all Maltese ports to NGO vessels. Matteo Salvini, the bully next door, has publicly pressured Malta’s government to submit to his values: those same values which ignore human dignity. We have been bombarded with the news that the EU Council of Ministers has agreed to, and endorsed, Malta’s position on migration. This is not correct as the EU Council of Ministers only reiterated that, at most, they would consider solidarity as being only voluntary in nature. There is nothing new in such a statement. 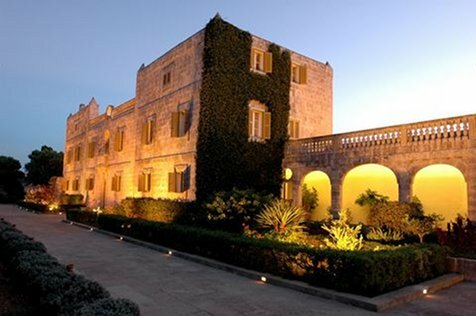 We have known about it for ages: since the days when Lawrence Gonzi was the tenant at Auberge de Castille! Malta’s Prime Minister Joseph Muscat, is now almost on the same wavelength as Hungary’s Prime Minister Viktor Orban, Austrian Chancellor Sebastian Kurst, and Italy’s puppet Prime Minister Giuseppe Conte, soon to be joined by German Chancellor Angela Merkel, forced into submission by her CSU coalition partner Interior Minister Horst Seehofer. All of them “tolerate” solidarity, as long as it is only practised by others. The theatrics resorted to by Muscat to ensure an adequate participation in offering hope to the immigrants on board MV Lifeline were understandable, even though the 234 human beings on board suffered for long days in the middle of the Mediterranean Sea until nine states made up their mind to shoulder their responsibilities. This was, however, followed by criminal action initiated against the captain of MV Lifeline as the sacrificial lamb on Joseph Muscat’s altar to populism. It seemed that Joseph Muscat had to counter-balance his good deed, when he permitted MV Lifeline to dock at the Senglea wharf. Those who continuously risk their lives in trying to save the life of others end up at the wrong end of the stick. The order that NGO sea-going vessels do not navigate through the rescue area under Malta’s responsibility, even if falsely camouflaged as a temporary measure, gave a free hand to the Libyan coastguard to “carry out its duty”, that is to ensure that those who try to leave Libya have only two possible destinations: Libyan detention centres or the seabed. To ensure that death by drowning is the only practical choice, the Maltese government has now also stopped the search and rescue aircraft operated by NGO Sea Watch and the Swiss Humanitarian Pilots Initiative. The aircraft has been involved in the rescue of 20,000 human beings. The inevitable question is : Why is it happening? Hungarian sociologists Vera Messing and Bence Ságvári in their study entitled Looking behind the Culture of Fear. Cross-national analysis of attitudes towards migration. which was published under the auspices of the German social democratic foundation Friedrich Ebert Stiftung and the European Social Survey, last March, sought an answer to this question. It is indeed unfortunate that the major political families have been contaminated by this culture of fear, thereby rendering themselves hostages to the bullies around us, as a result promoting a culture of death. Malta’s geographic position is a given: it is non-negotiable. Instead of being bullied to passively supervise the cemetery developing around us, we can be proactive and encourage others to join us in being a port of hope in the centre of the Mediterranean. That has always been our mission, to the extent that one of the best descriptions of Maltese hospitality is the one attested to by St Luke in the Acts of the Apostles when describing St Paul’s shipwreck: “the natives showed us unusual kindness for they kindled a fire and welcomed us all”. Unfortunately, closing our ports to NGO-operated vessels on rescue missions (after the one-off MV Lifeline debacle) indicates that Joseph Muscat, prodded by Matteo Salvini, has discarded hope and has instead opted for the role of a cemetery watchman. Waqt li n-Nazzjonalisti huma ppreokkupati bit-“tradituri” f’nofshom, it-tmexxija tal-partit tidher li hi inkwetata li l-partit hu maqtugħ mir-realtá, kif fil-fatt hu! Il-Partit Nazzjonalista mhux ser ikun iktar partit ta’ elitisti – dawk b’imneħirhom imxammar – iddikjara Dottor Adrian Delia. Wieħed dejjem jista’ jipprova jagħmel dan: ir-riżultati jkun jista’ jarahom kulħadd. Il-Partit Nazzjonalista, qal Dottor Adrian Delia, għandu joffri leħen għan-nies f’kull qasam tal-ħajja. Inkluż forsi, vuċi għat-“tradituri” ukoll! It-taqlib li għaddej minnu l-PN hu kbir. Qed ngħid taqlib, mhux tibdil. Prinċipalment passi lura. Huwa ċar li l-ftit passi żgħar ‘il-quddiem li saru taħt it-tmexxija ta’ Simon Busuttil ftit li xejn kellhom aċċettazzjoni mill-membri tal-PN fil-livelli kollha. Bosta jidher li qisuhom bħala imposizzjoni: il-politika tal-inklussivitá għadha mhix parti mil-lingwaġġ aċċettat mill-PN u wisq inqas mill-politika mħaddna. Diversi fil-PN, sfortunatament, għadhom imxennqin għall-għeruq fundamentalisti. Kultant nisimgħu xi leħen maħnuq ifakkarna fl-għajta tal-bieraħ “religio et patria”. Għajta li tistona f’kuntrast mal-pluraliżmu etiku u l-identitá Ewropea mħaddna minn sezzjonijiet dejjem jikbru tas-soċjetá Maltija illum. Jidher li l-PN ma tgħallem xejn mill-esperjenzi riċenti tiegħu b’mod partikolari mid-diskors u l-atteġġjamenti fundamentalisti tat-tmexxija ta’ Lawrence Gonzi. L-ebda partit politku ma jista’ jingħalaq fih innifsu u ma jagħtix kaz ta’ dak li qed jiġri madwaru. Il-valuri tas-soċjetá li qed naħdmu fiha qegħdin fi stat ta’ trasformazzjoni kontinwa, kultant mgħaġġla ħafna, u dan għandu jkun rifless ukoll fil-mod li bih nagħmlu l-poltika. Il-PN illum qed iħallas il-prezz politiku għax fil-passat riċenti dan ma għarfux. Jidher li anke fil-preżent hu deċiż li jibqa’ għaddej fl-istess triq żbaljata. Instigat minn persuni bħal Edwin Vassallo, il-Membru Parlamentari mill-Mosta li bħal Don Quixote kontinwament ikollu viżjonijiet ta’ mtieħen ineżistenti, il-PN tilef opportunitá oħra meta l-Parlament kellu quddiemu l-abbozz ta’ liġi dwar il-vjolenza domestika. Kif spjegali wieħed mill-Membri Parlamentari tal-PN, il-grupp parlamentari tal-PN kien diġa ivvota favur l-abbozz ta’ liġi dwar id-Vjolenza Domestika kemm fl-istadju ta’ l-ewwel qari kif ukoll fl-istadju tat-tieni qari. Kien biss meta Edwin Vassallo tfixkel minħabba l-viżjoni tal-imtieħen tiegħu li nbidel il-ħsieb u kulħadd fil-grupp parlamentari telaq għal rieħu. Issa l-PN għamel pass ieħor. Ittimbra “tradituri” lil dawk li kellhom il-kuraġġ li jsemmgħu leħinhom u li ma jibqgħux imxekkla mill-irbit tal-fundamentaliżmu. L-attitudnijiet tal-lum imorru lura għall-posizzjoni ta’ prinċipju li ħadet Therese Commodini Cachia li irrifjutat li ssegwi l-posizzjoni tal-Opposizzjoni kontra l-Ordni għal Standard Nazzjonali dwar il-leave għall-prokreazzjoni medika assistita f’Ottubru 2017. Tmien membri parlamentari tal-PN u ċioe Claudette Buttigieg, Chris Said, Simon Busuttil, Karol Aquilina, Mario De Marco, Karl Gouder, Jason Azzopardi u Therese Commodini Cachia bħala riżultat tal-vot ħieles tal-Opposizzjoni appoġġaw l-abbozz ta’ liġi dwar il-Vjolenza Domestika bil-bqija tal-grupp parlamentari jivvota kontra. Biex ikompli jgħaxxaqqa, il-Kap tal-Opposizzjoni, wara li spiċċat din il-kummiedja ddikjara li l-abbozz ta’ liġi approvat, li jimplimenta l-Konvenzjoni ta’ Istanbul, ikun wieħed minn ta’ l-ewwel li meta l-PN ikun fil-Gvern jitħassar. Mid-dehra Dottor Delia mhux jirrealizza li bi kliemu qiegħed jimbotta dak il-jum (li l-PN ikun fil-Gvern) ħafna iktar il-bogħod. Possibilment li l-Kabinett Nazzjonalista li jmiss għadu l-anqas biss twieled! While the PN rank and file are preoccupied with the “traitors” in their midst, the PN leadership is apparently worried that the party is out of touch with reality, as indeed it is. The PN will no longer be a party of the elite, declared Dr Adrian Delia. Well, one can always try to achieve that: the results so far are there for all to see. The party, said Dr Delia, would offer a voice to people at all levels of society – presumably a voice for “traitors” too! To say that the Nationalist Party is in a state of turmoil would be a gross understatement. It is now clear to everyone that the very few steps forward made by the PN under Simon Busuttil’s leadership were never accepted by either the PN MPs or by its rank and file. Most considered them an imposition: the politics of inclusivity has not yet made it to the PN political lexicon. Most of the PN, unfortunately, still yearns for its anachronistic fundamentalist roots. The PN’s perennial motto religio et patria is in stark contrast to the ethical pluralism and Europeanisation embraced by ever-increasing sections of Maltese society. The PN has apparently learned nothing from its recent experiences, most notably when Lawrence Gonzi’s fundamentalist discourse ruled the day. No political party can ignore the rapid changes in our society. The values of our society are in a state of constant transformation, at times at a very fast pace, and this should be reflected in the way in which we do politics. The PN today is paying the political price for failing to recognise this fact and acting accordingly. Prodded by the likes of Edwin Vassallo, the Mosta MP who constantly has Don Quixotic visions of non-existent windmills, the PN missed another opportunity when the Domestic Violence Bill came up before Parliament. As one PN MP explained to me, the PN Parliamentary Group voted in favour of the Domestic Violence Bill at both first and second reading stage, until Edwin Vassallo panicked due to his vision of windmills, as a result torpedoing his own parliamentary group. The PN has now gone one step further. They are labelling as “traitors” those who have the courage to stand up and be counted, free from the shackles of fundamentalism. The current attitudes can be traced to the uncompromising stance taken by Therese Commodini Cachia, who did not support the Opposition’s stand against the National Standard Order in relation to Leave for Medically Assisted Procreation way back in October 2017. As a result of the Opposition free vote, eight PN MPs – namely Claudette Buttigieg, Chris Said, Simon Busuttil, Karol Aquilina, Mario De Marco, Karl Gouder, Jason Azzopardi and Therese Commodini Cachia – supported the Domestic Violence Bill with the remaining members of the PN Parliamentary Group voting against. To crown this comedy of errors, the Leader of the Opposition further declared that the approved Domestic Violence Bill implementing the Istanbul Convention, would be one of the first that he would repeal on taking office. Apparently Dr Delia is not aware that his utterances have pushed that day (when he assumes office) further into the future. 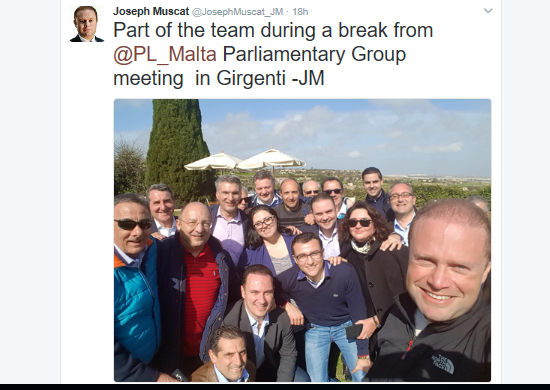 It is possible that the members of the next PN-led cabinet have not even been born yet! Dal-għodu f’laqgħa li Alternattiva Demokratika kellha mal-Kummissarju Elettorali Ewlieni tlabnieh jinvestiga l-fatt li nhar is-Sibt 18 ta’ Frar 2017 il-Palazz tal-Girgenti intuża biex fih saret laqgħa tal-Grupp Parlamentari tal-Partit Laburista. Dan, fil-fehma ta’ Alternattiva Demokratika jmur kontra l-liġi li tirregola l-Finanzjament tal-Partiti Politiċi u li tipprojibixxi li dan isir. Din il-liġi daħlet fis-seħħ fl-1 ta’ Jannar 2016. Nisimgħu ħafna ftaħir kontinwu dwar kemm kienet pass il-quddiem, kif fil-fatt kienet. Imma l-Partit Laburista xorta ġie jaqa’ u jqum minnha għax uża propjetá pubblika għal attivitá ta’ partit u dan kontra dak li tippermetti l-liġi. L-abbuż hu wieħed żgħir imma xorta jibqa’ abbuż. Huwa it-tip ta’ abbuż li tant drajnieh isir taħt imneħirna li ħafna ma jagħtux kaz. Anzi tilfu s-sens tan-normalita. Ta’ x’inhu tajjeb u x’inhu hażin. Fost il-kummenti elettroniċi li hemm jakkumpanjaw din l-aħbar f’xi gazzetti online kien hemm min qal : din rajtu, għax ma rajtux it-tieġ ta’ iben Lawrence Gonzi fil-Palazz tal-Girgenti f’ Lulju 2011. Probabbilment li min ifittex isib bosta każi oħra ta’ ulied politiċi li użaw propjetá pubblika bħalma għamel iben Lawrence Gonzi. Dwar dan jiena qatt ma qbilt. Naħseb li hi użanza ħażina għax tagħti l-messaġġ żbaljat li l-politiku fis-setgħa għandu jedd assolut dwar l-użu tal-propjetá pubblika, li ċertament m’huwiex il-każ. Imma fl-2016 il-Partit Laburista fil-gvern qata’ linja : għal kulħadd, suppost. Hemm differenza kbira minn żmien Lawrence Gonzi: dakinnhar ma kienx hemm liġi li tirregola dawn l-affarijiet. Illum hemm! U niftaħru biha ukoll! Il-liġi dwar il-finanzjament tal-partiti politiċi saret biex jinqatgħu l-abbużi żgħar u kbar. Jagħmilhom min jagħmilhom. Imma jidher li l-Partit Laburista jidhirlu li dawn ir-regoli japplikaw għal kulħadd minbarra għalih! Għax min jaħseb li hu b’saħħtu jibqa’ jidhirlu li għandu dritt li jagħmel li jrid: dejjem u kullimkien.